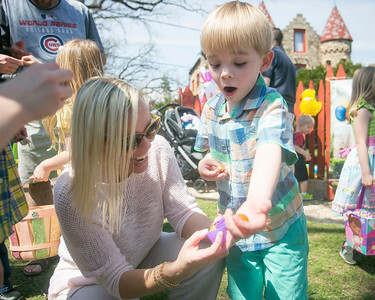 Daryl Quitalig - For Shaw Media Luke, 4, and Maria Jandak, both of Darien, react to a bouncy ball opened from an Easter Egg during an annual private Easter Egg Hunt with 3,500 eggs for local kids at Bettendorf Castle in Fox River Grove on Saturday, April 15, 2017. 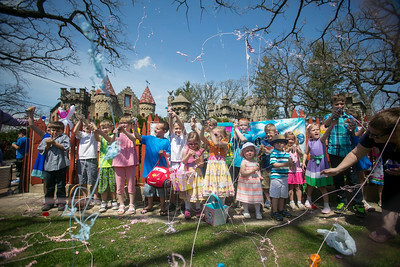 Daryl Quitalig - For Shaw Media The four to seven year olds that participated in the day's festivities play with silly string during an annual private Easter Egg Hunt with 3,500 eggs for local kids at Bettendorf Castle in Fox River Grove on Saturday, April 15, 2017. Daryl Quitalig - For Shaw Media Exterior of the northeast face of Bettendorf Castle in Fox River Grove seen on Saturday, April 15, 2017. 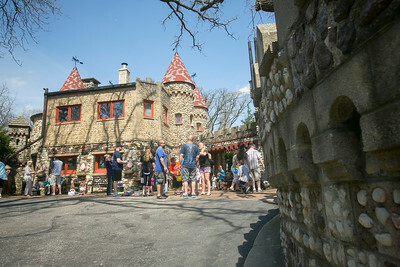 Daryl Quitalig - For Shaw Media Exterior of the southwest face of Bettendorf Castle in Fox River Grove seen on Saturday, April 15, 2017. 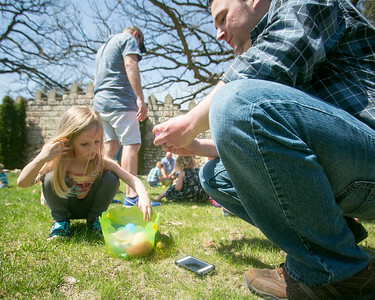 Daryl Quitalig - For Shaw Media Aubrey Weiss, 3, fixes her hair in the blowing wind as her father Scott assists her with the Easter Eggs she found during an annual private Easter Egg Hunt with 3,500 eggs for local kids at Bettendorf Castle in Fox River Grove on Saturday, April 15, 2017. 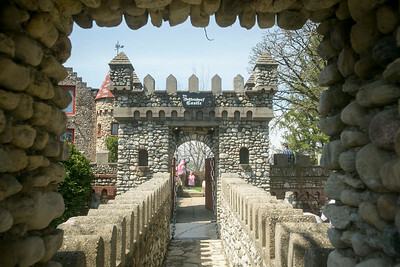 Daryl Quitalig - For Shaw Media Entrance to the northeast corner of Bettendorf Castle in Fox River Grove seen on Saturday, April 15, 2017. 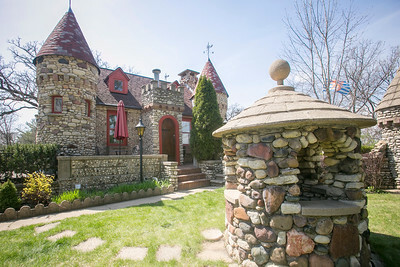 Exterior of the northeast face of Bettendorf Castle in Fox River Grove seen on Saturday, April 15, 2017.